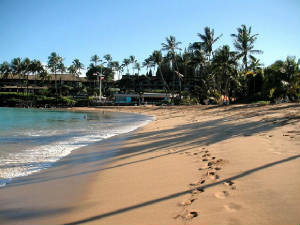 This is the walk to the Seahouse restaurant on beautiful Napili Bay. In the mornings, stroll down the beach, get your feet wet and wash them off with the foot spout that is right outside the Seahouse restaurant. The Seahouse serves full menus for breakfast lunch and dinner. So you may find yourself on this walk whenever you need a meal or drink at the Seahouse's outside patio. 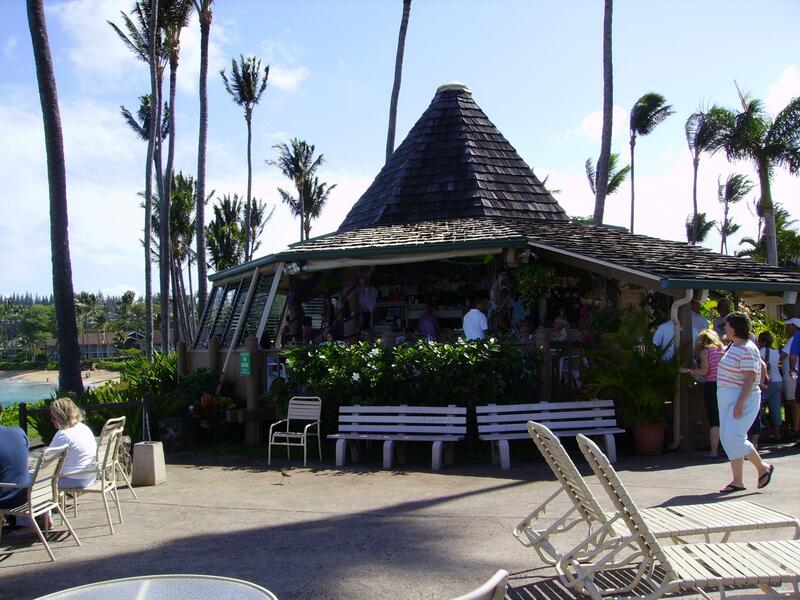 This is the beautiful outdoor patio of the Seahouse restaurant right on Napili Bay. This is unparalled atmosphere!! A gorgeous view of Napili Bay beach!. This restaurant is a short stroll down the beach - when you want lunch, an afternoon refresher, or a full, gourmet, 3 course meal. 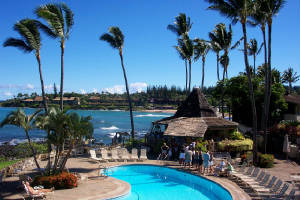 The Napili Bay Resort is at the farther end of the beach. 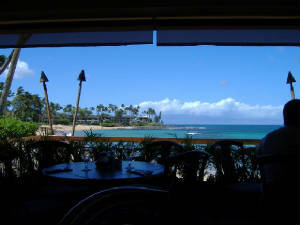 Here is the view of beautiful Napili Bay from inside the Seahouse restaurant. This is a wonderful place for a full course sit down dinner. Make your reservations early in the day!!! This is the Gazebo restauarant, located up on the rocky point, in the opposite direction of the Seahouse restaurant. You can see Napili Bay beach behind the Gazebo in this picture. 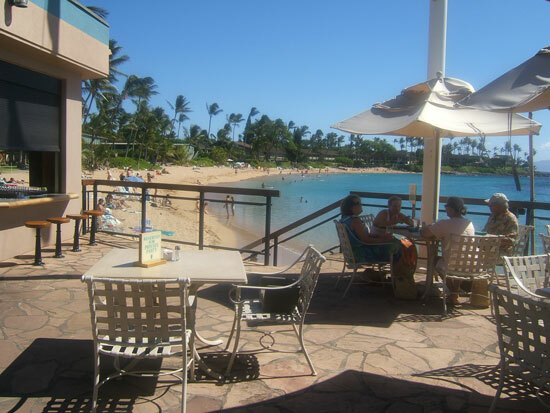 It is a 5 minute walk from the Napili Bay Resort. The Gazebo is open for breakfast and lunch 7:30 am - 2 pm. Phone 808-669-5621. No reservations - get in line early!! The Gazebo is known for it's macademia nut pancakes with cocunut cream and syrup. The Gazebo restaurant. There is usually a line; but it does move quickly.